I decorated the headphones I keep on my desk with washi tape. By using paper washi tape I have a plastic free craft and the option to easily change the design in the future. After awhile I wanted to step up my washi tape craft game from covering an object with the same washi tape design to projects that mix and match different tape patterns and colors. But here’s a little secret you don’t know about me: I choke when it comes to mixing and matching patterns in my décor projects. Also I only have two rolls of washi tape and they don’t coordinate. Luckily, I received a review copy of Washi Tape Crafts: 110 Ways to Decorate Just About Anything by Amy Anderson, the author of the book Mod Podge Rocks! 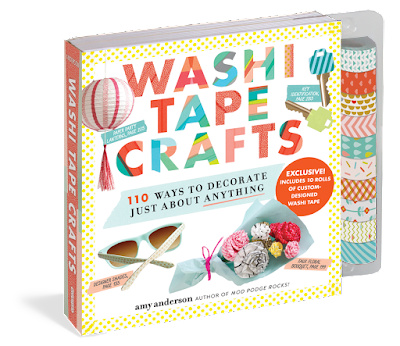 I knew Amy was writing a washi tape craft book but what I didn’t know is her book comes with 10 rolls of custom design washi tape. How smart is she?! I can’t tell you how many times I want to make something I see in a craft book and don’t have or can’t get the supplies to make it. Brilliant idea Amy! Washi Tape Crafts features tutorials for projects for beginners to advanced crafters and many innovative ways to use washi tape. 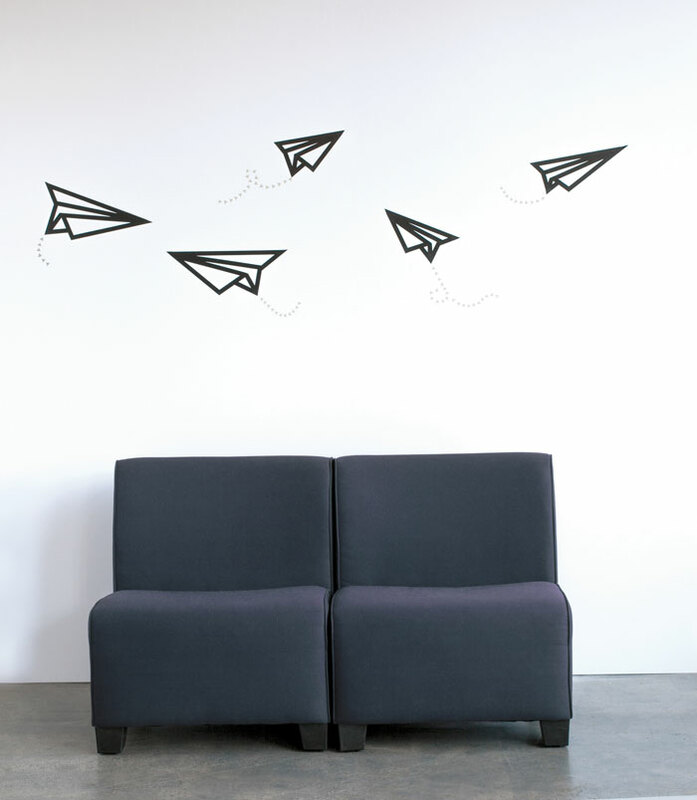 For example, Washi Tape Crafts teaches you how to create washi tape “wallpaper” and use washi tape as a removable and eco-friendly alternative to vinyl decals. I want to do something similar to Washi Tape Crafts paper airplane project in my craft room. Amy teaches you how to weave washi tape in the Tools and Techniques chapter. I used that as my inspiration and guide to step up my game and redecorate my headphones with washi tape. 1. Washi Tape Crafts suggests that you measure the length and width surface you will cover, the width of your washi tape, and cut the tape slightly larger to give you room to work with the tape. 2. Loosely tack what will be the vertical tape (the warp) to the top of the headphones. Since I am working on a round surface and the book’s tutorial is for square surface, I measured and temporarily placed my vertical lines of tape (the warp) and then shifted them as needed. It is OK if your washi tape hangs over the edges of your headphones. We will trim it in a later step. 3. Time to weave! Starting at the top of your headphones, weave the horizontal tape (the weft) over the first piece of vertical tape, under the second piece of vertical tape, and so on until you get to the last piece of vertical tape. 4. Weave your second piece of horizontal washi tape under the the first piece of vertical tape, over the second piece of vertical tape, and so on until you get to the last piece of vertical tape. In this example, I spaced out the vertical (warp) tapes so you can see how I wove the horizontal (weft) tape clearly. 5. Keep weaving new rows of washi tape until the surface of the headphone is completely covered. 6. 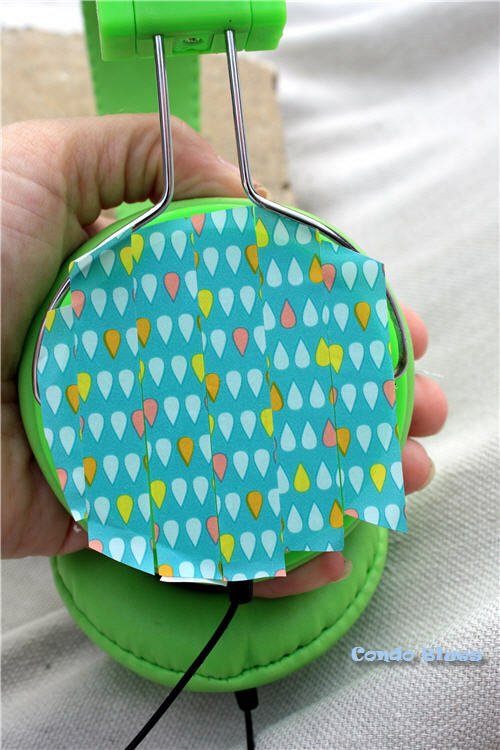 Use the nail scissors to trim the excess washi tape from your headphones. Why nail scissors? Because the blades are slightly curved which helps to cut clean, round circles. 7. 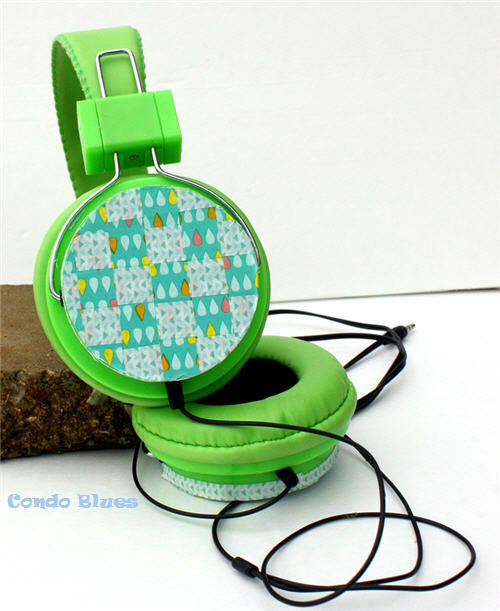 Optional: Measure the circumference of the headphones, cut, and cover the edge with washi tape to create a clean edge. 8. 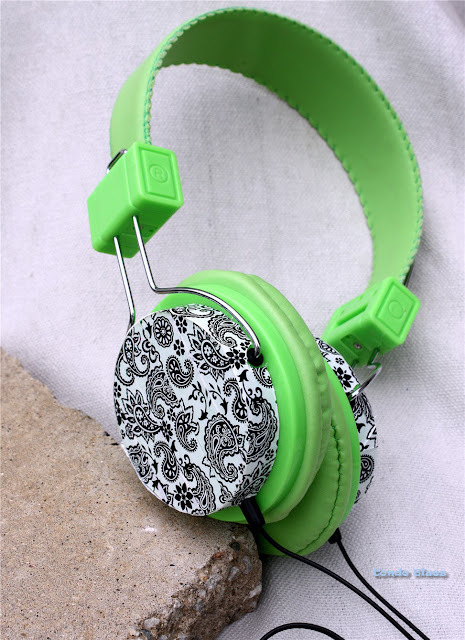 Repeat Steps 1 – 7 to decorate the other side of the headphones with washi tape. 9. Use the paint brush to seal the washi tape with a thin layer of Mod Podge. This is encourage the washi tape to stay put on the plastic surface and not peel back with normal handing and use. 10. 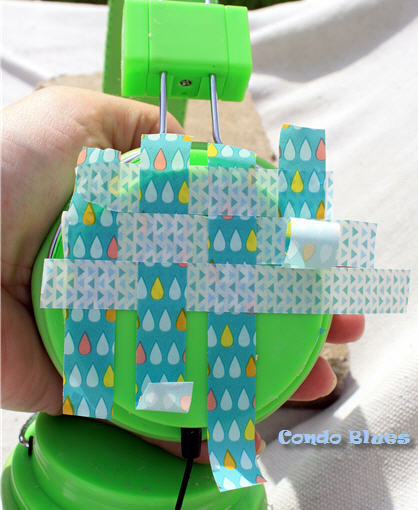 Once the Modge Podge is dry, plug in your woven washi tape headphones and jam on! Washi Tape Crafts makes a fantastic Christmas or Hanukah gift idea since it comes with everything you need to start making washi tape crafts! 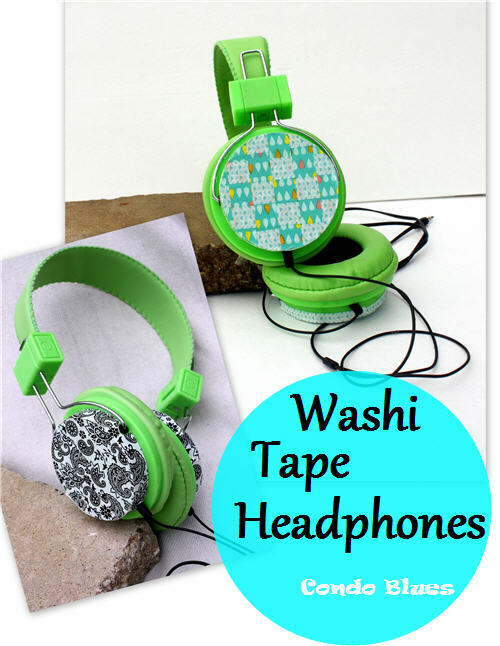 So do my cute washi tape headphones! Disclosure: I received a copy of this book was supplied to facilitate this review. All options are 100% my own. Disclosure #2: This is an affiliate link in this post. If you make a purchase through my Amazon link I receive a small commission at no additional cost to you. Thank for helping me keep this blog up and running! Disclosure #3: Nothing to add here. I just like to list things in threes.